Rachel Williams, who serves as Head of Corporate Recruiting, Diversity, and Inclusion for Yelp, has lots of ideas you can use for attracting top-tier talent. She joined Jason Lindstrom of BucketList for a webinar to answer questions and offer advice on one of the most important topics facing managers trying to grow their companies. 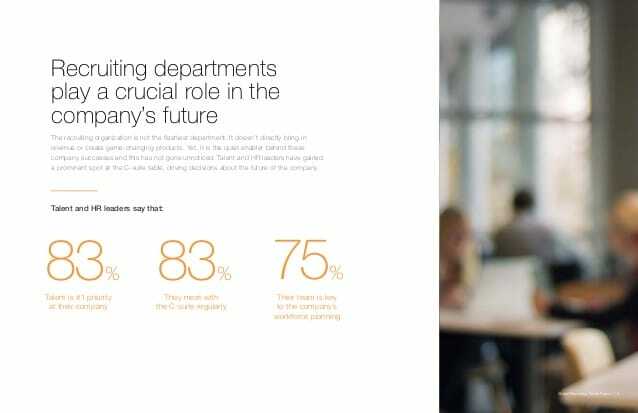 Source: Linkedin global recruiting trends report 2017. The vast majority of recruiters – 83 percent, or more than eight out of every 10 – say that talent is the No. 1 priority at their company. At the same time, employees say the culture of their workplace is just as important – and sometimes more important – than the size of their paycheck. The issue becomes how to find the best candidates for the right jobs. The No. 1 thing you can do to attract talent is create a strong employment brand. That applies to companies large and small, from start-ups just creating their brand to established companies with a mature brand in need of refocusing. The same approach to building culture and acquiring talent that creates a championship basketball team can help your company win, too. The key here is that you’re in charge of shaping that brand to be what you want. “The beauty of social media is that you can control the messaging,” Williams explains. Use all the tools at your disposal – Facebook, Twitter, LinkedIn, Instagram, whatever platforms serve your business best. You can even leverage your website, which is a window into your culture. The goal is to illustrate that your culture is inclusive, that you like to have fun, that you welcome varying ideas, and that you’re innovative. “That is what ‘A’ players are looking for,” Williams says. 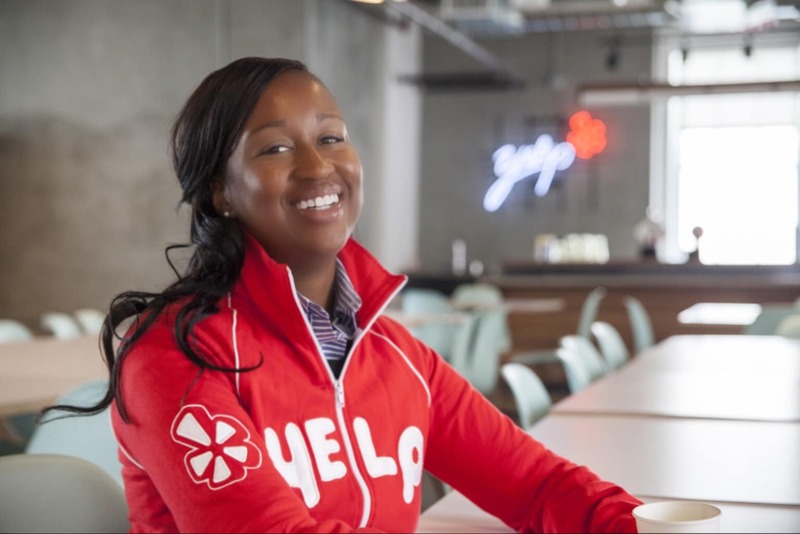 ‘A’ players want to know how their work will contribute to the larger mission of the company and how that larger mission is going to help the world, says Rachel Williams of Yelp. In creating that culture, it’s essential to make clear that your organization is inclusive and open to diverse thoughts and perspectives. You can do this by avoiding gender-specific words, for instance, when writing a job ad or a job description. The goal is to attract a wide range of candidates because a diverse and inclusive workplace makes good business sense. At the same time, you can create specific messages for specific audiences, depending on the kind of job you are trying to fill. What you would say to your sales force is not the same thing you would say to your software engineers. It’s important to recognize the difference between a job ad and a job description. Think of the job ad as a way to present your company’s big picture. Use it to cast a wide net for attracting top-tier talent. It’s the kind of thing that candidates would see on your website or a job search site, so focus less on the qualifications necessary for the position and more on the company and its culture. The point here is to connect the dots for job candidates by explaining the role and how it fits into the overall mission of the company. “ ‘A’ players want to know how their work, their day-to-day, is going to contribute to the larger mission of the company and how that larger mission of the company is going to help the world,” Williams says. Verify whether someone would be a good fit in your organization. Build questions for the interview process. Evaluate performance down the road. That means the job description needs to be very detailed. It’s also where you can focus on the company’s values. Remind people what the company stands for and believes in. The way that works at Yelp, Williams says, is that they design interview questions around the company’s core values, with the goal of determining whether a candidate shares those values. When it comes to recruiting, turn to social media. 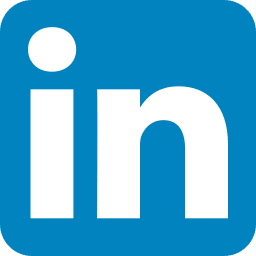 You can leverage the same tools you’ve been using to build your brand to help find job candidates – whether it’s Facebook or Twitter or LinkedIn or Instagram. Use the platform that works best for you. Rewarding your employees for milestones and achievements doesn’t have to be expensive. At Yelp, recognition can take the form of a group parade through the office when a deal is closed or a giant stuffed animal that appears on the desk of a hard-working engineer. Yelp employees also can send “Yelp Love” appreciation notes to each other as a way of underscoring who’s been doing a great job at something. The bottom line is that “recognition is growing in importance,” Williams says, particularly when it comes to Millennials in the workplace. Keeping those workers you’ve spent so much time and effort recruiting can often be as simple at making sure they have a clear career path to avoid either stagnating or looking for that path somewhere else. “Clearly defined career paths keep people retained and working hard for you and giving that discretionary effort,” Williams explains. Local universities and colleges, or even community colleges and trade schools, can be a useful resource for finding new talent. All of these have career service directors, so Williams suggests you “stop by and have a chat” with whomever is running the career center. Let them know you’re in town. Tell them about your organization and what kind of employees you’re seeking. In short, build a relationship with them. Employee referrals also can be a great resource for finding new talent and maintaining the culture you’ve built. But there is a potential downside, which is that people tend to hang out with other folks like themselves. If that becomes your primary recruiting tool, it can limit the organization’s diversity because “you’re hiring the same profile and the same person over and over again,” Williams says. To avoid that, make sure your people are going beyond their own networks when they’re looking for potential employees. Put the focus on rounding out the team by looking for people who will add different perspectives. Take a straightforward approach: Forget what the big guys are doing and focus on what you want to accomplish. Not everyone wants to work for Facebook or Microsoft or Amazon. Recruiters find that early-stage or smaller organizations tend to attract different types of talent than larger companies. FAQ: How Much Does Recruiting Cost? That means finding the right people can be expensive, in terms of the time and effort your employees spending recruiting and testing and interviewing job candidates – one candidate at a time. 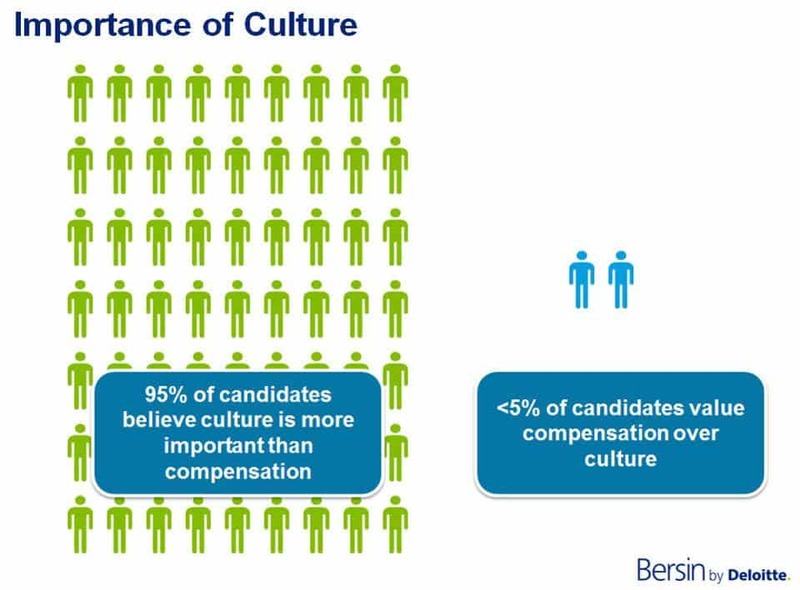 And that’s why so many companies focus on retaining the workers they already have versus attracting new employees. “The cost of someone leaving with institutional knowledge and you having to start the process all over again is quite costly,” Williams observes. FAQ: Is It All About The Money? But in this case, the bottom line isn’t necessarily money. It’s about the culture: Do you feel like you belong? Can you be your authentic self? Initial screening: Typically handled by the recruiter, who serves as a gatekeeper to narrow down the candidates. Interview questions: Utilize best-practice procedures to make sure the questions are standardized. That lets you evaluate different people with a consistent method for comparison, and it helps overcome any personal bias. This offers another chance to underscore the organization’s values by formulating the questions around them. Skills testing: Follow-up with tests if needed, particularly to determine necessary technical skills. On-site interview: Make a good impression on the candidate. “This is an opportunity for them to see your culture in action,” Williams says. While every company has a different process, at Yelp, they limit these interviews to about two hours. Casual interview: Once a decision has been made, create another opportunity for the hiring manager and job seeker to meet in a less formal setting, such as getting breakfast, meeting for coffee, or making a follow-up phone call. It’s a chance for both sides to make sure the fit is good. “There’s value in getting people out of interview mode and into a casual conversation,” Williams explains.